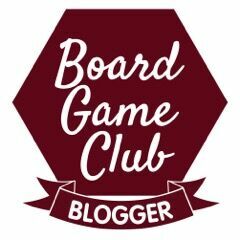 Since becoming a member of Board Game Club we have had tremendous fun sampling games that we would probably never had considered buying. Our second game over the Christmas period as part of the Asmodee UK Bloggers Board Game Club is called Splendor. Splendor is set in the Renaissance period and your role is as a merchant using your resources to acquire mines, transport and artisans who will transform your raw gems into jewels. Splendor can be played by 2 - 4 people and we found a game can last around 30 minutes, although this would probably be less once you got the hang of the game. Shuffle each deck of cards and place in a column in the middle of the table, increasing in order. Shuffle the noble tiles and turn over as many as there are players. Lastly place the tokens in coloured piles. During the game players take gems and gold tokens which they can use to purchase development cards which earn you prestige points or bonuses. Once you have enough prestige points you can be visited by a noble which will earn you more prestige points. The person who finishes with the highest number of prestige points is the winner. Although is a quite a bit more complex than above and difficult to explain. All the cards and the tokens are made from quality products and we loved the art work. 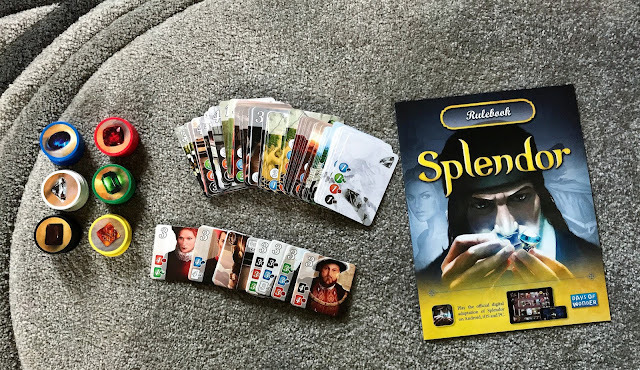 If you would like to try Splendor for yourself then it can be purchased from Amazon priced £24.99. We were sent this game free of charge for the purpose of this review but the opinion is entirely our own.